Tucson, AZ, WPH Press, 7/13/18– The WPH is thrilled to spotlight the University of Texas’ Kristen Hughes as the WPH Ace of the Month, recognizing Kristen’s outstanding contributions to growing the sport of handball. Kristen started playing handball just under four years ago, and in that time, has served as an officer on the University of Texas Handball Team, worked as the tournament director for the Longhorn Classic, competed and traveled to dozens of tournaments, introduced the game to countless college students, and has recently been elected as the University of Texas Handball Team President, taking over for Nate Frank. 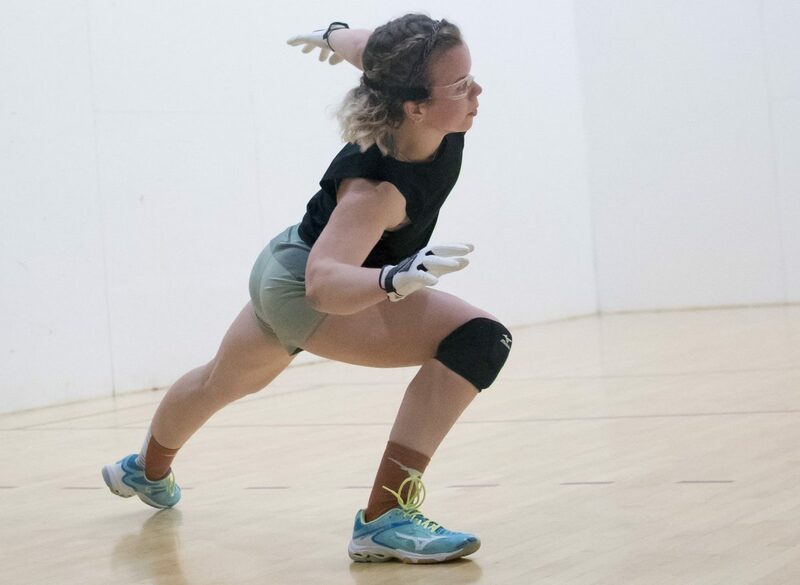 While not promoting, organizing, and growing the sport, Kristen’s handball game has risen meteorically, as the University of Texas marketing graduate student and lifelong athlete has collected numerous women’s singles titles in the Southwest and is knocking on the door to qualify for the WR48 tour. 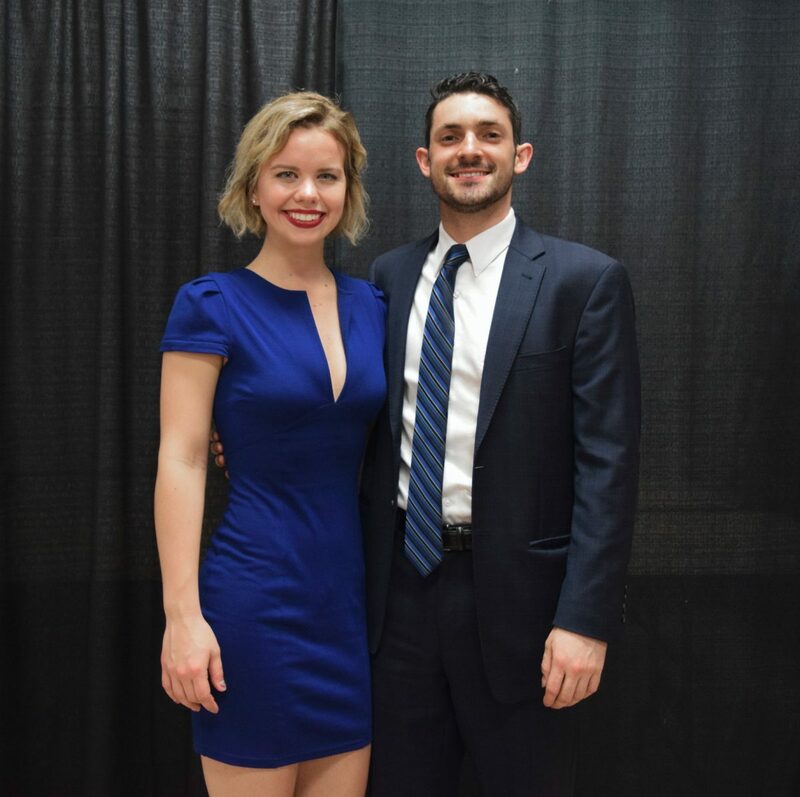 The WPH had a chance to chat with Kristen, discussing what handball means to her, how she became “hooked” on handball, where Kristen sees the future of the game and much more. Thank you to Kristen for all she does to grow the sport! Photos taken on 2018-05-05 at The Sports Mall during WPH/ACES PLAYERS CHAMPIONSHIP. Handball gave me a community to be a part of, which I was looking for when I entered college. I played a lot of sports growing up, and I loved that handball provided the opportunity to really challenge myself physically and mentally, as well as giving me a way to de-stress when I needed it. My best memories in handball all come from traveling with my teammates. Nothing says team bonding like being forced to spend 10 straight hours in a car with each other! We’ve even taken the 24-hour drive to get to Canadian Nationals. Only a couple months into playing, I would go to the campus gym by myself on non-practice days to drill because I was too eager to playing to wait for the next team practice. We practice every other weekday at UT, so I was definitely hooked if I couldn’t even go one day without getting in a court. I had never heard of handball before college, and found the team sort of by accident while working out at the gym one day. Our coach, Wayne Lee, followed up with me repeatedly about coming to more practices until I was too hooked on the sport to stop. Wayne noticed I had a decent amount of power from playing other sports, and taught me the power z-serve and ceiling shot early on. They are now huge staples in my game. I actually just took over from Nate Frank as president of the UT Handball Team, and served as our head tournament director for the first time ever this past weekend (Longhorn Classic ’18 HERE). I’ve been a lower-level officer pretty much my entire 3.5 year handball career because I wanted to give back to the team that I so quickly fell in love with. Personally, handball has helped me with leadership, perseverance, controlling emotions while under pressure, and creating a healthy balance between fitness/work/social life. I’m still working on a lot of these, but handball is definitely an enriching sport with a lot of lessons to teach. In my opinion, handball is the best sport because of its inclusivity. It’s uniquely open to people of all ages, heights, and levels of fitness. More so than in any other sport, the best players have become the best because of determination and hours in the court. You don’t have to be super tall, mid-twenty something, or possess Olympic-levels of athletic prowess to be one of the greats. I love watching Catriona (Casey) play! She was the first female pro I became aware of, and I’ve been watching videos of her matches to study form and shot selection ever since. As much as I love 4-wall, I think 1-wall is likely to be the future of the sport. It’s easier for new players to pick up, courts can be created and maintained more easily/inexpensively, and is often more accessible (especially to youth players) since 1-wall often doesn’t require an expensive gym membership. I think the main barriers to entry in handball are awareness and accessibility. There are still many people who don’t know what handball is, and even if they do know, they might not have access to courts or local players without paying for an expensive gym membership. The ESPN broadcasts have been a great way to bring together the handball community, and increase exposure of the sport. Players all around the world can share in the intensity of a match, instead of only hearing about the results secondhand. It’s adds excitement and entertainment value to the sport. Photos courtesy of the WPH, AJ Ward Photography, and the University of Texas Handball Team.